A classic! 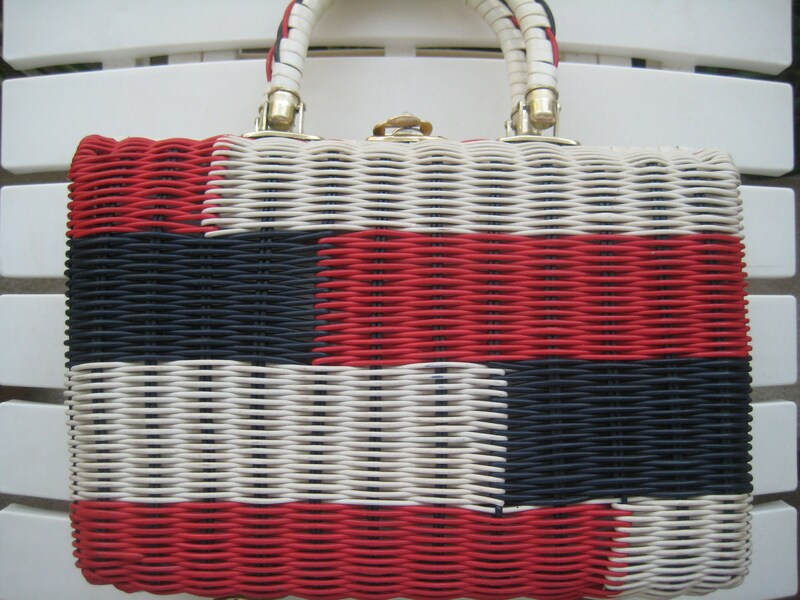 Vintage white wicker handbag with a red and navy block design on the front. Matching double handles with a 4 inch drop. 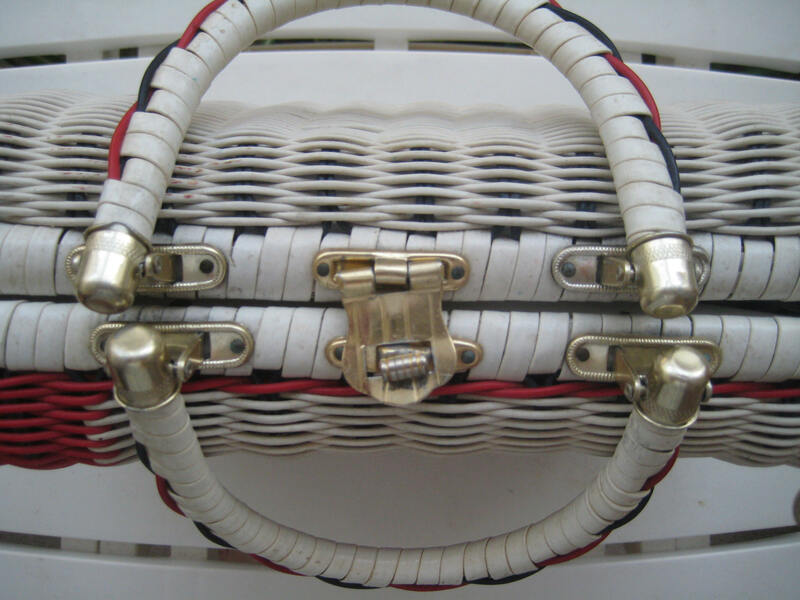 Gold tone metal attachments and key hole lock. 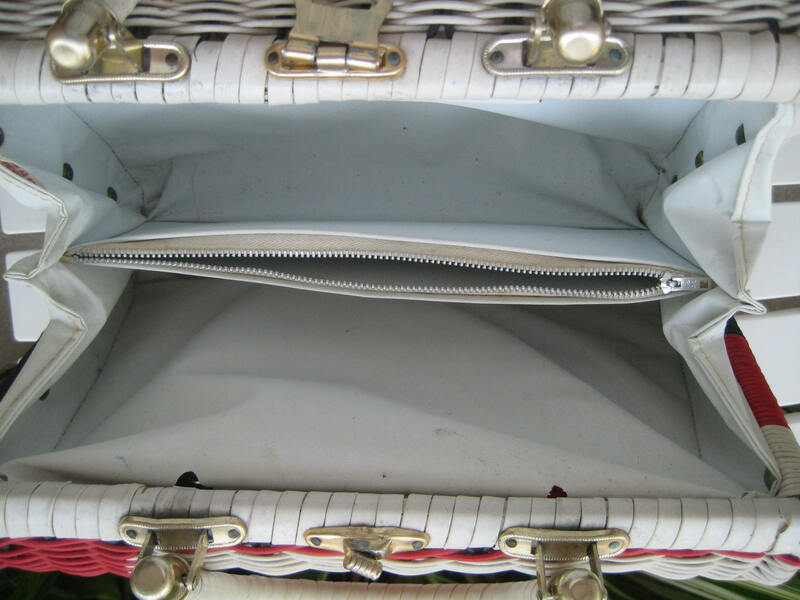 White vinyl interior with a center metal zippered pocket. Original metal grommet footings. 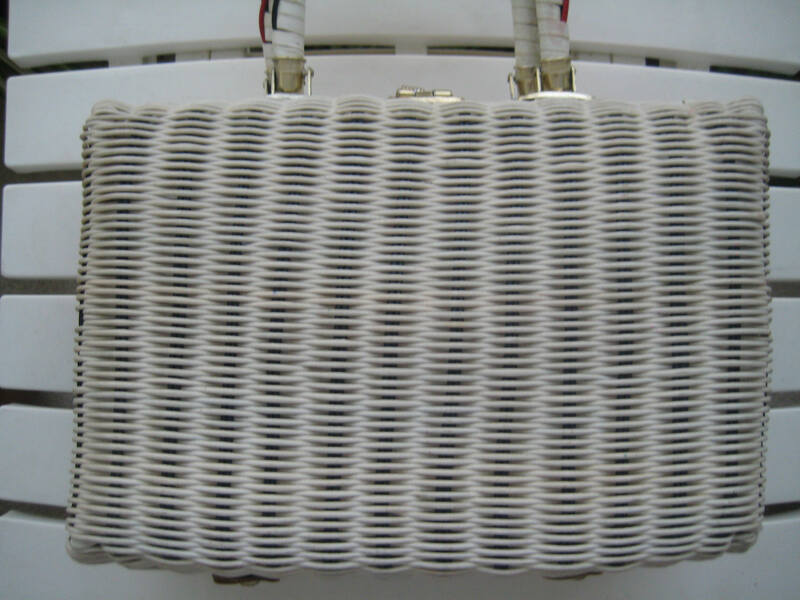 This bag is in good shape but shows its age in spots, including on the leather bottom bands, upper spots in the interior. Priced below market. A great opportunity to start your collection! No label. Dimensions: 11 inches long x 7.5 inches tall x 4 inches wide.